Road Trip Jackson, Missouri to Jackson, Misssissippi and we are touring Jackson, MO today. A must in Jackson is to hit the Historic Uptown Jackson. Even before I knew Jackson, Mo as well as I do now, I felt there was something absolutely beautiful about uptown Jackson. Beautifully paved streets, adorable little shops, and some of the best places to eat to be found uptown Jackson, Mo. The Oliver House is a monument to Jackson’s history. The exact date of The Oliver House is unknown, but mortgage records date back to 1848. The beautiful structure, a load of history, and if walls could talk, imagine the stories that could be told. The Oliver House is located at the junction of Adams and Ohio Street in Jackson. Unfortunately, the home is not always open for tours, but please visit their website for more information. Old McKendree Chapel build in 1819, and ironically the efforts to restore Old McKendree Chapel began far before many of us were born (1920) and is now completely restored. The chapel grounds are open every day sun up to sun down a guided tour can be given by David and Theresa Hopkins 573-243-2774. The Chapel is located just off Interstate 55 exit 102. The Steck House located at 210 E Washington Street. The Steck House is home to The Jackson Art Group's Gallery. You will find styles of art from jewelry to paintings all created by some of Jackson's very talented artist. The Steck House Gallery is open the 2ndSaturday of each month. All aboard the St. Louis Iron Mountain & SouthernRailway! The St. Louis Iron Mountain & Southern Railway is the regions only full size passenger train! Take a step or ride back in time and enjoy sometimes on the main source of transportation of yesteryears. The St Louis Iron Mountain & Southern Railway often host special events and offers a regular schedule of rides, to find those schedules visit their website or follow them on facebook. The city of Jackson is more than blessed with some of the most beautiful parks and prides themselves with keeping those parks clean, safe, and family friendly. 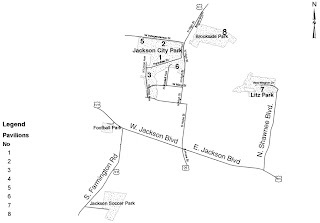 Inside the Jackson City Park, you find fun for all ages at Safety City, the Rotary Lake, the tennis courts, the skate board park, and the Jackson Municipal Pool open seasonal. Connected to the City Park is also a very nice recreational trail open for bikes, runners, and walkers. ..the rec trail is a fun way to see scenes of Jackson you normally would not see. 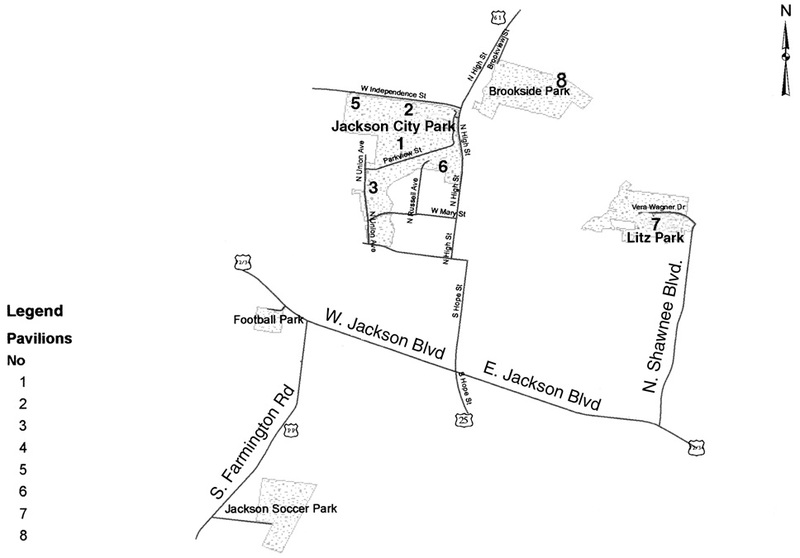 Visit the City of Jackson’s website for directions and park hours. We all like to eat right? I know I do and man is Jackson got some great places to eat. The must stops on anyone who loves to eat list are: Wibbs BBQ, a Jackson landmark for years and known for their BBQ and Pimento Cheese sandwiches…you will never think of BBQ the same. Tractors Classic American Grill, known for their unique name, but popular for their unique sandwiches, no one leaves hungry from Tractors. Personally, I highly suggest Tractors’ Potato Soup...Yum Yum Good! Other popular dining locations Branding Iron BBQ, Stooges, Lil Miss Muffin, and El Torero Mexican Restaurants.